On the heels of its acquisition of bike-share company Motivate, Lyft is gearing up to fully integrate bicycle and scooter sharing into its app. There’s no word on exactly when this will happen, but it’s likely it will happen soon. Lyft is also investing $1 million to advance transportation equity to people in underserved communities. As part of its commitment, Lyft will work with nonprofit organizations like TransForm to develop programs that support people with low incomes. 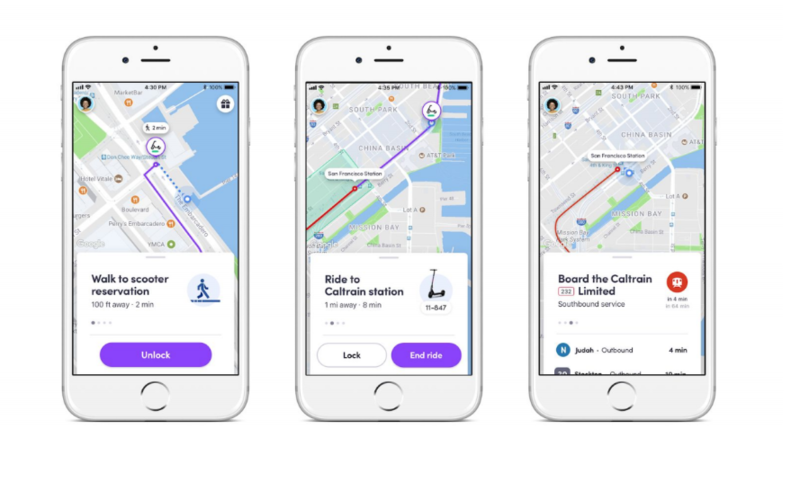 “Soon you will be able to get real-time transit information, plan a multi-modal trip, and use Lyft Bikes and Scooters to connect to a local transit stop or shared ride pickup location,” Lyft wrote in a blog post. By the end of 2019, Lyft says it aims to take 1 million cars off the road. Last year, Lyft says 250,000 of its community members gave up their personal cars. This comes shortly after Uber invested in part of Lime’s $335 million round. Uber’s plan is to put its logo on Lime’s scooters, Bloomberg previously reported. Meanwhile, Uber owns and operates bike-share service JUMP following a ~$200 million acquisition earlier this year. In April, Uber unveiled its multi-modal transportation ambitions, which includes car rentals and public transit integration. Last month, both Lyft and Uber applied to operate electric scooter programs in San Francisco. The city’s municipal transportation agency, however, has yet to make a decision on which five companies, if any, will receive permits.